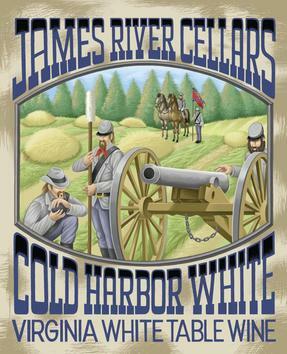 Twenty-three of Virginia’s 200 wineries have created special Civil War 150th Anniversary wine labels for a special wine passport program. The Civil War passports, which are available at each participating winery or online at www.virginiawine.org/sesquicentennial, are a guide not only to the wineries but also to nearby Civil War battlefields and historic sites. The pocket-sized passport has a page for each of the 23 wineries including room for tasting notes, a description of the featured wines, images of the labels and a list of nearby battlefields. A fold-out state map pinpoints the locations of 42 key Civil War battlefields. Visitors carrying the passport can have them stamped at each participating winery, creating a memorable keepsake.